This fun, portable coloring book invites you to unplug, unwind, and unleash your inner artist. Next time you're waiting—at the doctor's office, in the airport, or on the bus—stop stressing and start creating! In today's busy world, finding peace can be a challenge. Now, with this unique compact coloring book, you can use those idle moments to foster your creativity and enjoy a sense of calm. With original art from Judy Clement Wall—featuring flowers, animals, mandalas, and more—Create While You Wait offers a much-needed break and a burst of creativity and playfulness whenever the mood or moment arises. Perfectly sized to fit into a purse, pack, or pocket, Create While You Wait will help you color your day brighter wherever you go. A special binding lets you lay the book flat, and the unique horizontal layout is perfect whether you're left- or right-handed. So grab your colored pencils, crayons, markers, or pen—and find your inner Zen. AARP and HCI come together with a special line of Inkspirations adult coloring books that are good for our hearts, our minds, and our souls--benefiting us emotionally, physically, and spiritually. Color your way to calm and creativity wherever you go with this uplifting collection of inspiring quotes paired with the most popular hand-drawn art from illustrator Judy Clement Wall. Whether you are parked in a carpool line, waiting for a plane, or sitting in the doctor's office, you can reclaim time for yourself while engaging in something that's both relaxing and fun. ©2016 HCI Books. All rights reserved. 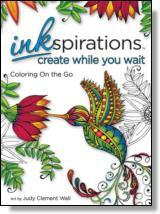 Reprinted from Inkspirations Create While You Wait: Coloring on the Go. No part of this publication may be reproduced, stored in a retrieval system or transmitted in any form or by any means, without the written permission of the publisher. 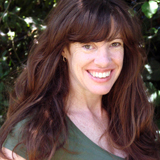 Publisher: Health Communications, Inc., 3201 SW 15th Street, Deerfield Beach, FL 33442.